Cooking with a veg box, new to seasonal eating or just want to get more of the good stuff into your diet? 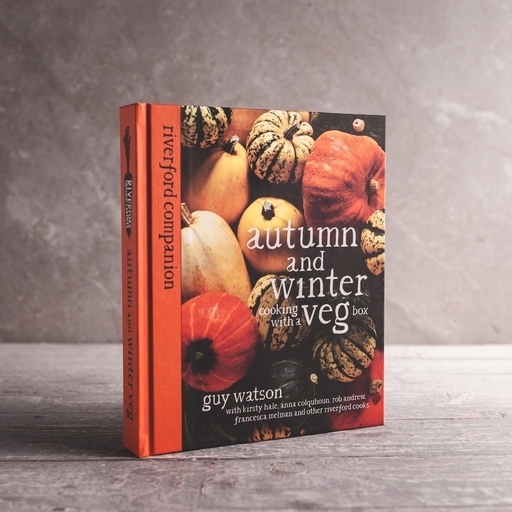 Our hardback recipe book, Autumn and Winter Veg, the second in the Riverford Companion series, will help you bring veg to the centre of your plate. From tips on how to recognise a romanesco, store your kale and prepare a squash, to inspiring recipes where seasonal veg is the star, this cook book is packed with ideas to increase your confidence in the kitchen.